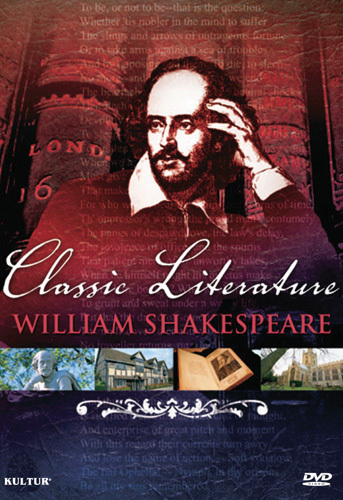 This is a revealing study of the renowned and popular master playwright William Shakespeare, the latest volume in the collectible Classic Literature series. This film examines the man behind the myth, the famous works and the locations key to Shakespeare's life. Join us as we journey to Shakespeare's birthplace, the places which played such an important part in shaping this great writer and explore the political and religious backdrop which colored his work. 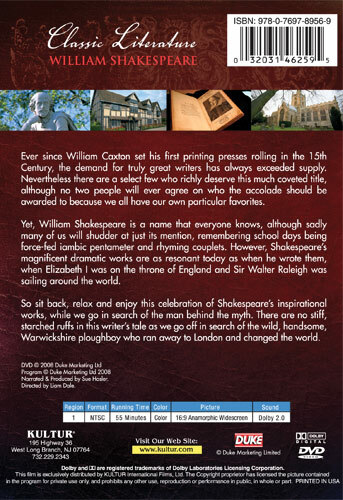 You'll discover the fascinating family background to Shakespeare, how he entered the theatrical world and the impact his life still has on modern society more than three centuries after his death.